Lipoxygenase (LOX) belongs to a family of non-heme-iron-containing fatty acid dioxygenases that are widely distributed in plants and animals. LOX involved in the synthesis of jasmonic acid and six-carbon (C6) volatiles which is necessary for plant growth and responses to a wide range of biotic and abiotic stresses. We have isolated and characterized LOX cDNA clones from Panax ginseng Meyer. From their deduced amino acid sequences, two diverse classes of 9-LOX (LOX1, LOX2, and LOX3) and 13-LOX (LOX4, LOX5) are defined in P. ginseng. A GenBank Blast X search revealed that the deduced amino acid of PgLOXs share a high degree of homology with LOX from other plants and mammals especially in three distinct motifs; motif1 harboring iron binding regions, motif2 and motif3. Chloroplast localization was predicted for PgLOX5. PgLOXs displayed organ-specific expression, highly expressed in aerial parts of the plant such as 3-year old flower, stem and leaf tissues. PgLOXs mRNAs were elevated strongly by bacterial infection. 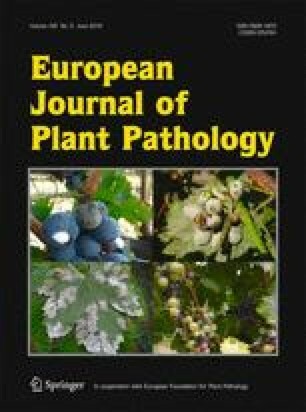 Expression of PgLOXs was differentially induced in ginseng not only by mechanical damage and methyl jasmonate but also after exposure to withholding water. Ginseng 13-LOXs positively respond to wounding that may involve in production of C6 volatiles and jasmonic acid at the wounded sites. However, the higher expression of PgLOX3 by water deficit and 82 % of the nucleotide sequence identity with the EST from severe drought-stressed leaves of Populus (CU229089.1) at +6371 bp downstream of PgLOX3 genomic DNA structure can suggest drought tolerance role for PgLOX3. Ginseng LOX genes have different expression pattern which may suggest different specific function against various environmental stresses. Kwi-Sik Bae and Shadi Rahimi contributed equally to this work. The online version of this article (doi: 10.1007/s10658-015-0847-9) contains supplementary material, which is available to authorized users. This research was supported by the Basic Science Research Program through the National Research Foundation (NRF) by the Ministry of Education (2013R1A1A2064430), Republic of Korea (YJ Kim) and iPET (312064-03-1-HD040), Korea Institute of Planning and Evaluation for Technology in Food, Agriculture, Forestry and Fisheries, Republic of Korea (DC Yang). Rahimi, S., Kim, Y. J., Devi, B. S. R., Oh, J. Y., Kim, S. Y., Kwon, W. S., & Yang, D. C. (2015b). Sodium nitroprusside enhances the elicitation power of methyl jasmonate for ginsenoside production in Panax ginseng roots. Research on Chemical Intermediates. doi: 10.1007/s11164-015-2188-x.